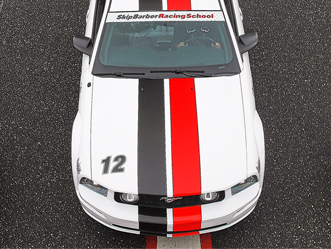 Using our time-tested racing techniques, Skip Barber Driving School’s teach the survival skills needed to safely handle today’s challenging road conditions over the course of one full day. Using time tested racing techniques, everyone in the family can benefit – from the teenage driver to the more experienced enthusiast. Each course is a carefully constructed combination of classroom and behind-the-wheel instruction in an exciting variety of passenger vehicles. Participants have the time of their lives – and learn the skills that could save them! The Teen Safety & Survival School is a full day hands-on course for teenage drivers with at least a learners permit and 20 hours of driving experience. It conveys the same vehicle dynamics message delivered in the 1 Day Driving School, but also emphasizes greater “street awareness”, survival skills and a thorough review of road etiquette. Important fundamental skills including emergency and defensive driving exercises are included in the curriculum. Driving various vehicles, students benefit from core Driving School exercises such as braking, emergency lane change and slide recovery, and skid control. A Teen Safety and Survival School is the perfect gift for any young person who has recently earned the privilege of driving. Parents; if you want to take a program with your child, then consider enrolling the family in the 1 Day Driving School.